Rental living is getting bigger and bigger in the Inland Northwest. Several new apartment complexes are either opening soon or now open in all corners of the Lilac City. But, not everyone who rents wants a cookie cutter apartment that looks just like the rest. 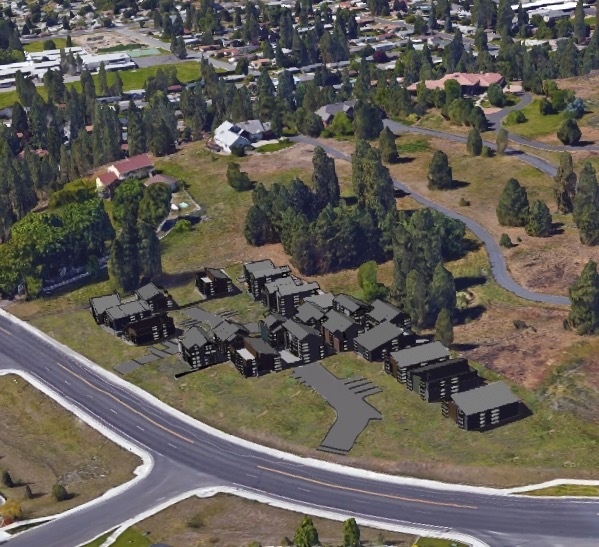 Hence, part of the reasoning behind a new development in the Five Mile area of Northwest Spokane. This new project is called The Ledge at Five Mile and it will be a group of cottage style dwellings. The project will be geared towards millennial's with a luxury, modern look and feel. 23 units will be available for rent at The Ledge when it opens, construction on the main buildings will likely start in the fall. Some site development is already underway at the site, removing dirt and " moving mountains of rock" . The Ledge at Five Mile will be rentals but will all actually be small single family homes with no connecting walls, a perk over apartment living. Rent will range from $1,400 for a one bedroom to $1,800 for a two bedroom cottage. The units will be spacious with cool features such as smart home technology. Surface parking will be provided as will shared patio space. The location is also quiet but still close to the many different shopping and dining options of North Spokane and not far North from the employers of Downtown Spokane. The project was designed by the Spokane based Christopher Morlan Architecture PLLC with co-owner Ryan Buth / Brylson,LLC being the general contractor and property management once the development opens.